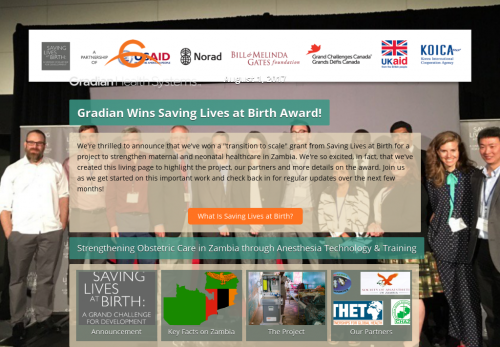 Gradian Wins Saving Lives at Birth Award! We're thrilled to announce that we've won a "transition to scale" grant from Saving Lives at Birth for a project to strengthen maternal and neonatal healthcare in Zambia. We're so excited, in fact, that we've created this living page to highlight the project, our partners and more details on the award. Join us as we get started on this important work and check back in for regular updates over the next few months! What Is Saving Lives at Birth?